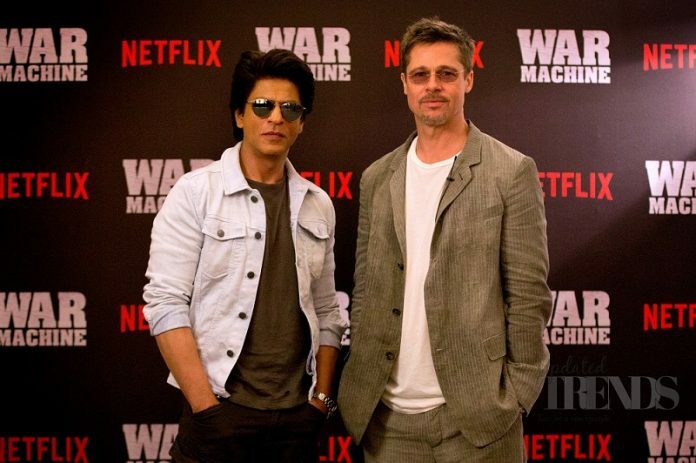 Brad Pitt promotes his comedy-drama flick, War Machine in India this time! The veteran Hollywood actor, Brad Pitt who can definitely give any other actor a run for their money will be soon seen in a lampooning war movie titled War Machine. Post the promotions in Japan, Pitt was seen promoting the movie in Mumbai on May 23, 2017. War Machine is a satirical war movie packed with comedy and drama where Captain General Glen McMahon (based on the real-life Gen. Stanley McChrystal), played by Brad Pitt, gets posted in Afghanistan. Besides Pitt, this movie will also star Anthony Hayes, John Magaro, Emory Cohen, Anthony Michael Hall, Topher Grace, Will Poulter, Tilda Swinton and Ben Kingsley and is sure to leave you in splits along with getting across a strong message. While his first visit to India was with former wife, actress Angelina Jolie, Pitt’s second visit definitely has been great. Catch the movie which will be streamed on NETFILX this Friday and until then entertain yourselves with this trailer of War Machine.